Killer monkeys lurk in the woods. Treacherous watchers skulk the underground tunnels. An evil emperor’s minions control the archipelago city. Brina is proficient in archery. Moshoi skillfully wields the swords he crafts. Amanki has mastered sailing. But those skills aren’t enough. The three young adventurers must make choices. Choices that mean life or death. Choices with no safe answer. The Society of the Word has given them tools: wise sayings, moral stories, mysterious prophecies. But their faith will be tested. Will the star guide them to their destiny or lead them to their doom? Who will survive? 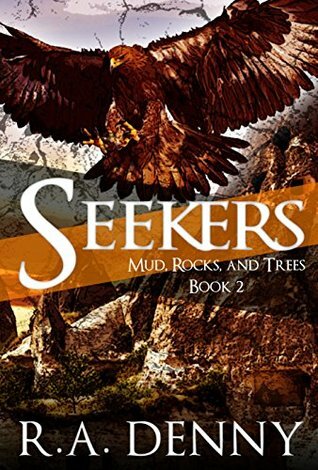 RA Denny is the author of the six book epic fantasy series: Mud, Rocks, and Trees. The first four novels in the series are available. The last two are coming soon! Get updates here. She enjoys horseback riding, painting, inventing, writing, swimming, kayaking, cycling, reading, and traveling. She has always been fascinated by ancient history and loves random useless information. RA Denny plays games of many kinds including tabletop games and thrashball (which is a blend of volleyball, tennis, and badminton). Her two wonderful sons share her love of creative endeavors. RA Denny grew up in Bethesda MD. She graduated from University of Maryland College Park and Duke University School of Law. As a trial attorney, prosecuting juveniles in court for more than 20 years, she was dedicated to eradicating abuse in its many forms. In the mid-1990s she became interested in bullying prevention and was a pioneer in the movement to bring public awareness to the issue. She authored numerous workbooks and directed a movie, Strings of Fear, to help prevent bullying. R.A. would love to hear from you! 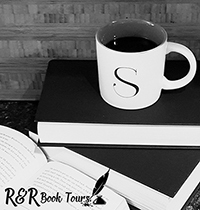 Feel free to contact her about writing, blog inquiries, or random interesting things! We continue the quest of Amanki, Brina, and Moshoi. They are all told to “Bring the seals together in Tzoladia and you will learn their secrets.” The kids are on their separate paths with friends and family but are not just going to be able to simply meet up, assemble the seals, and save the world. Amanki is with his friend Manhera in Tzolachia during the Harvest Festival of the Berserker. He leaves to find the priest Baskrod but when he returns Manhera and his seal are gone. Moshoi is with his brother Tuka in the underground city of Rhabdom. They discover that those supposed to protect the hibernating people have instead been killing them. Finally we have Brina who is traveling with her friend Barque. She is still reeling from her banishment and she has no idea how she is going to get to Tzolchia. She is traveling to a new colony but is going to find herself in more trouble than she expected. This is an amazing world and fantastic story. You have three people from such varied backgrounds on a supposedly simple quest to unite three seals. But there are forces working against them and just when you think things couldn’t get any worse, hang on they will. This is a great story for younger teens through adults. There is a little bit for everyone and a clean read. There is a killer cliffhanger that will leave you screaming for the next book. I love the Mud, Rocks, and Trees series and can’t wait to get my grubby little hands on the next book. I received Seekers from the author for free. This has in no way influenced my opinion of this book.